Brisbane Soloist 495 began her professional career when she was 18 years old in Brisbane and on the Gold Coast. Her voice is rich and smooth and enables her to sing any style and genre with ease. Her huge repertoire keeps all listeners both entertained and interested with it’s variety and eclectic mix of artists. Her song list ranges from cool Amy Winehouse to passionate Davis Gray to classic Sarah Vaghan And everything in between. Brisbane Soloist 495 has had several television appearances including “Ray Martin’s Midday Show” and has worked overseas to many and varied crowds. Keeping her music very up-to-date but also incorporating all your favourites. Brisbane Soloist 495’s equipment and sound is very high in quality. 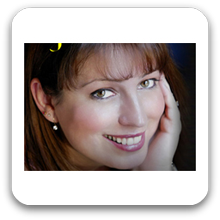 A true professional, she possesses a welcoming smile and “a voice that you can want to listen to all day”. Soloist 495 made my 50th Birthday a very memorable success! Truly talented!